Tiny House Homestead: Could IKEA Threaten the Power Grid? Did you know that power companies are losing business because they can't cut their rates in line with the rapidly falling prices of residential solar systems? Currently the cost of a watt is $4.93 which is down 16 percent from a year ago (according to an article on Yahoo finance). Here is something fascinating to consider: Will the power companies become like telephone companies and have enough competition that they will have to get more competitive or simply begin going defunct? It is definitely interesting to consider. Just 100 years ago folks heated their houses with coal oil or wood. Now we use natural gas or electric. 50 years ago Bell telephone was the only game in town for telephone and we paid a fortune to make long distance calls. Now we have countless providers and telephones that fit in our pockets along with free long distance calls. This has me curious about how long it will be before each citizen in the United States produces their own electricity instead of being hooked up to the grid. Is it doable? Yes. Is it doable with current technology? Some would say Yes, but I say no. At least not with its current limitations. Some of the limitations in the United States are tied directly to cost, quality, and durability. In Phoenix there is a company that puts solar panels on folks roofs. The homeowner pays for the panels like a mortgage and the solar power they generate is first used on their house and then the surplus is sold back via the grid to the large power companies. Sounds great, but let’s do the math. $150 month x 12 months = $1800 a year to pay for the solar panels x 30 years = $54,000 total for the panels and maintenance. That is in addition to any power they use over and above what they generate PLUS the taxes and surcharges they still have to pay because they are hooked up to the grid. The bottom line is, assuming they can generate enough power that they don't have a usage bill, it will still cost the average homeowner around $200 a month minimum for this deal. That, my dear readers, is not saving. Besides that, the fact is that $54,000 is five times the cost of the system new. A 3 Kilowatt system today runs between $10,000 and $15,000 new. Another problem I can see is the hidden costs. If you factor this into new construction and the cost is hidden in the original mortgage amount, you may never really be able to figure out if the system is worth the money. For me the numbers just don't add up. Beyond that there is another problem. Currently part of the fees and taxes we pay while hooked up to the grid pay for its maintenance and infrastructure. PG&E Corp., California's largest energy provider, has said this jeopardizes the power grid because there is less revenue to maintain the infrastructure. The natural consequence is utilities raising their rates. In California it is estimated that as much as $1.3 billion in annual costs will eventually pass on to customers who don't have panels. That means consumers could see increases in product costs as companies scramble to make up the difference of the increase in fees. However, IKEA could most certainly change the game if it can make enough of a dent in the market to further drive costs down for solar. 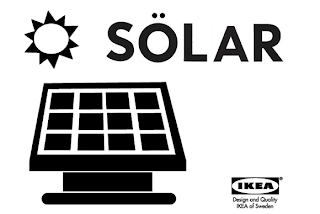 If a retailer as large as IKEA could begin shipping and installing globally then there is the real chance that overall costs could be greatly reduced, making solar practical and more accessible to average homeowners. I am of the opinion this is a great thing. I only hope that IKEA can eventually sell directly to the homeowner without requiring IKEA installers or links to the grid. This could help make the cost of solar for tiny house owners like myself more realistic and do-able. Love it! Even if the IKEA version isn't the "ultimate answer", it is at least making real solar power available to the consumer masses. And, over time, this will threaten commercial power companies revenue. Not currently, but as will any technology it will in time. Electricity, and gasoline, are probably the two biggest items that are the hardest to topple. However, as you mentioned, the "home telephone" is pretty much gone already. Replaced by wireless mobile phones. The telephone also ousted the telegraph. Which everyone thought was the way we would communicate long distance forever. I am not "anti-grid". But, I AM anti-price gouging! I hope at the very least, as solar power gets into the homes of more and more people, that the commercial power companies will lower their prices to stay competitive. They may actually start offering internet service along their power lines for value add. They may themselves start using more and more solar panels for collecting energy instead of fossil fuels. Give me a solar panel if it really helps me to cut down or stop me from paying electrical bills which has been going up up and A-WAY~ since last year! Interesting numbers. If I understand right, some of my family members are installing solar panels on their homes. Their utility company is giving them a rebate and I think they get a deduction off of their taxes. ot IKEA, but we are talking the same thing, right? Yes, there are some rebates and some tax credits, but people have to be careful to investigate whether or not those offset the long term costs of installing the panels and paying for them over time. 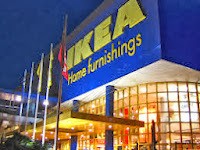 The IKEA option sounds like a good deal after 7 years, but the other options, here in the states, often have an incredible mark-up and the payments on time make their cost outweigh their savings. Remember, you still have to pay the taxes and fees just to stay hooked up to the grid. Right now those costs are high. Hopefully places like IKEA will change that. Oh Great! Another reason to get lost inside IKEA lol as if it's not already bad enough for me. (Being a man). These stores should have resting areas for me, PlayStations to play on, Maybe a fridge full of beer then perhaps we would not care that the wife has spent 4 hours looking for a chair. Solar Panels can be interesting.. I was speaking to an Irish Guy in the week he instals them for free but retains all the cost savings for 10 years.. so YOU get free electricity for your house and he gets all the surplus electric which is sold back to the grid.. It sounds like a win win and something I think I will want when I get my next house. I am with you, William. I think they can be win-win.